Good weather should be enjoyed to its fullest extent. To do that you have to actually go outside. But if your home lacks an enticing outdoor living space, there’s little incentive to venture out. 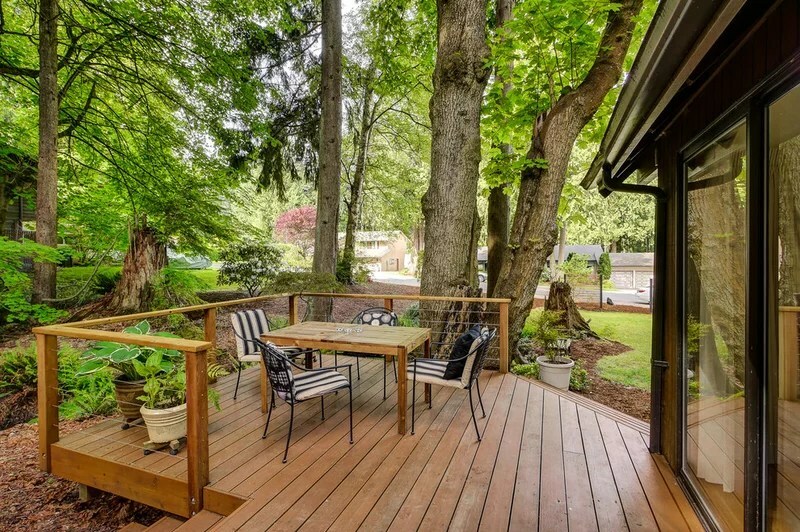 Outdoor living is seeing a bit of an explosion lately: Adding a deck is one of the most requested home projects today, and demand is steadily rising. In a recent Houzz landscaping survey, more than 80 percent of people undertaking a landscaping project said they were adding a deck or a patio. New durable outdoor materials, furniture and accessories plus unique shade options and smart tech that let’s us watch movies and have full kitchens have no doubt fueled the interest. So if you’re hoping to make the most of good weather in your area, a new deck has likely crossed your mind. Here’s what you’ll need to know about finally getting one. 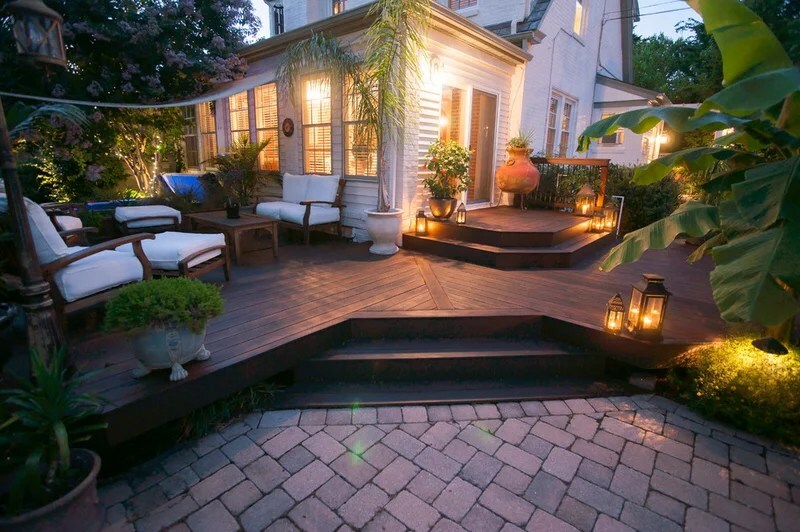 Many people choose to build a deck that steps down to a patio. What do you want your deck to do? 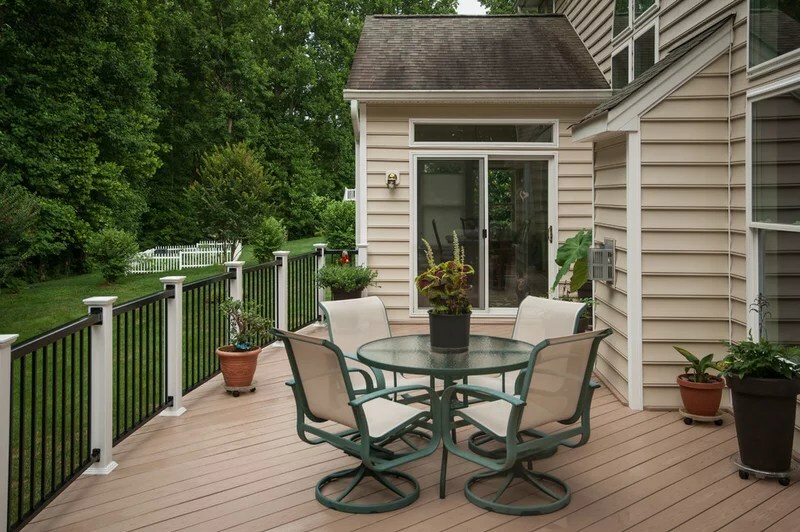 Typically, people want a deck that’s multipurpose, with areas for eating, cooking and hanging out. But, as with most things, the sky is the limit. So depending on your budget, consider things like an outdoor TV, a fireplace, a fire pit, a hot tub, a kitchen, a water feature and more. If you’re using your deck for dining (which you should), you’ll want it located as close to your kitchen as possible. “You don’t want to have to climb a bunch of stairs just to go back in for some salt,” says Clemens Jellema, who runs Fine Decks and has been building decks for 20 years. “A lot of contractors have had problems with composites in the past, but they’re getting pretty good now,” Jellema says. Composite is about 40 to 50 percent more expensive than real wood, but because you don’t have to keep restaining it and paying for upkeep, the cost over time can be equal to or less than real wood. To clean composite decking, just rub some detergent on it and hose it off. Wood. Many wood species are less expensive than composite but can weather over time and drive up maintenance costs. If you don’t take care of the wood, it can rot, dry out, warp, crack and splinter, and nails can pop out. 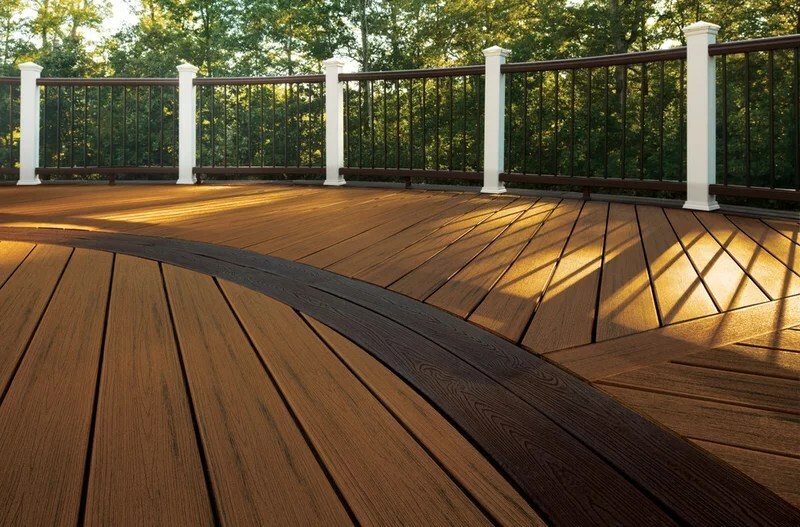 But if you’re willing to maintain it, wood decking is beautiful, especially up close. Shown here is an ipe deck, which is a Brazilian hardwood known for its natural durability and for being weatherproof. Jellema says the price of ipe has risen dramatically in previous years due to demand. It’s now about the same price as composite. If you go with a wood deck, it’s recommended that you power wash it and re-oil it after pollen and leaves have fallen, because they’re a food source for bacteria, Jellema says. Keep in mind that the availability of certain woods varies across the country. 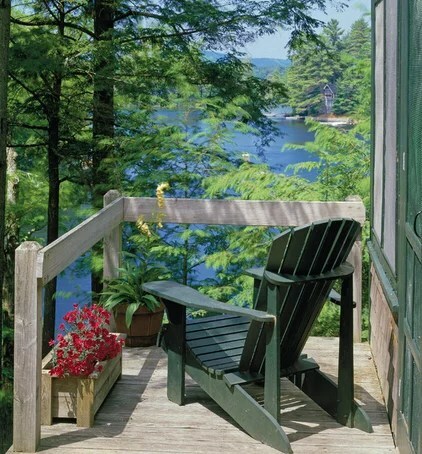 Redwood and cedar are popular deck choices on the West Coast but are hard to come by on the East Coast. And, again, check with your HOA about any restrictions on using wood or composite decking. Shade. If it’s too sunny or raining, you won’t be enticed to use your new outdoor space unless you have some shade or some sort of covering. There are endless options here, from large umbrellas and retractable awnings to pavilions, gazebos and screened-in porches. Of course, the more elaborate, the more expensive it will be. 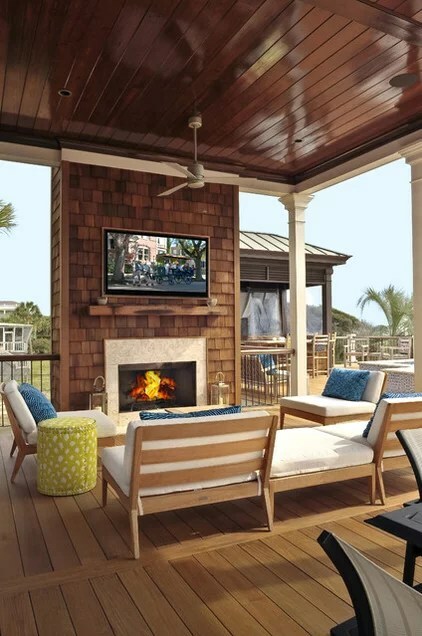 You can have a deck porch with finished ceilings, fans, TVs, heating and A/C, fireplaces and more. 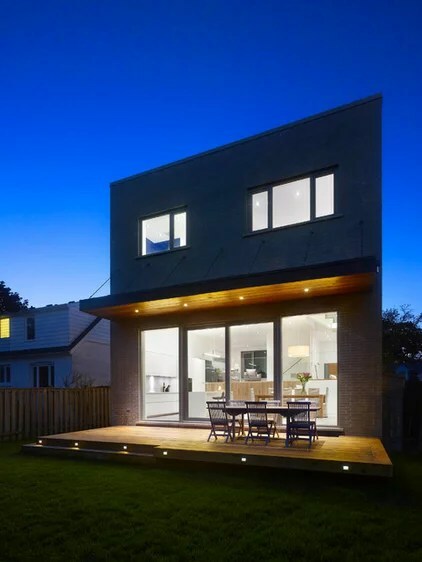 “Projects can get so elaborate that it’s almost like building a house,” Jellema says. If your deck will be raised 8 or 9 feet off the ground, consider converting the space below into a dry area for entertaining or storage. 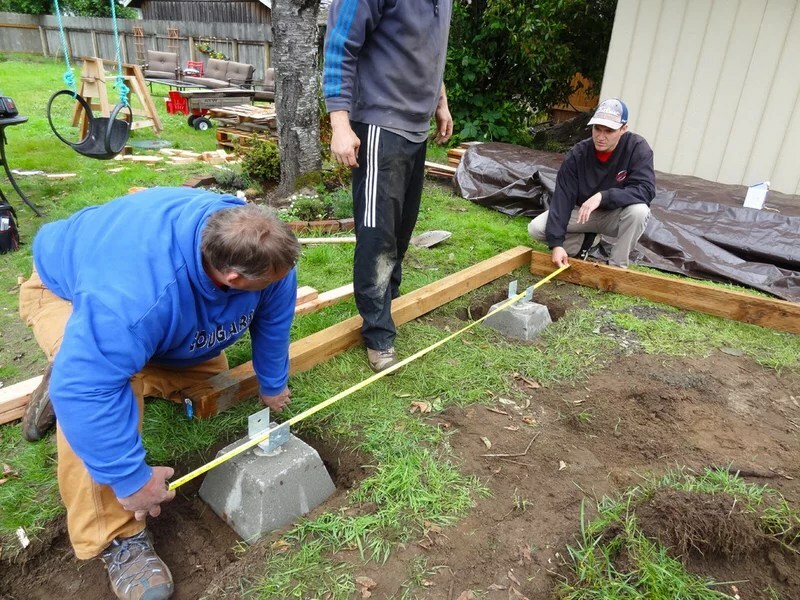 To do this your deck builder will integrate panels beneath the decking so that water falls through, gets collected and is sent to a downspout. That way you have a dry, shaded extra patio spot. Cost. The cost for deck design, materials and labor varies by location. An average composite deck that’s between 300 and 500 square feet costs around $20,000 to $30,000 in the Washington, D.C. area, Jellema says. A smaller basic size, like one for a townhouse that’s 12 feet by 18 feet, might be $10,000 to $15,000 in the same area, he says. According to Houzz’s Real Cost Finder, an average deck costs about $14,000 in San Francisco; $6,848 in Austin, Texas; and $4,392 in Little Rock, Arkansas. A deck with varying elevations, a hot tub and a porch or pavilion can cost $50,000 to $60,000. Jellema once built a $120,000 deck. “But that was before the recession,” he says. But keep in mind that deck additions are solid investments. Jellema says a deck addition often recoups 70 to 80 percent of its value when a home is sold. 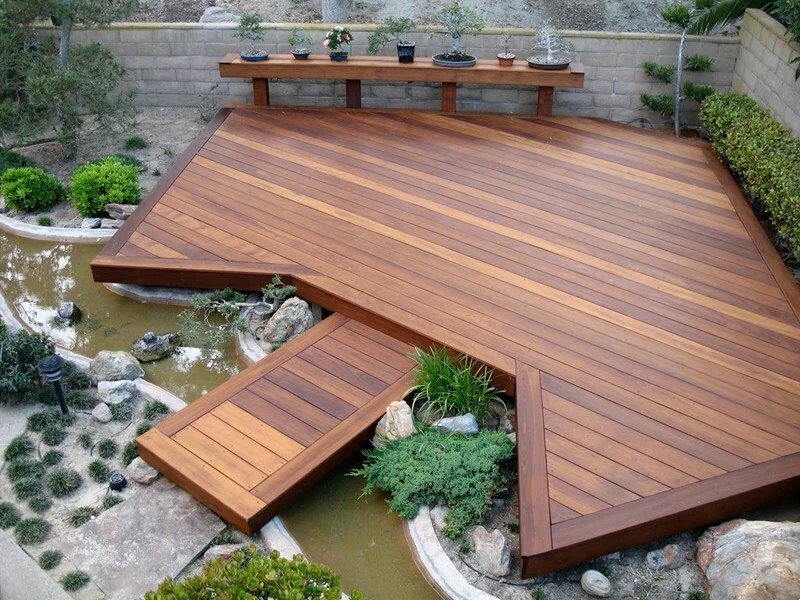 Who to hire: A professional deck designer-builder is recommended for this project. A pro will meet with you, take measurements and photos of your site, and talk with you about your needs. He or she can make suggestions on blending the deck in with your existing home, and is knowledgeable about local building codes and obtaining the proper permits.“We set up decking with lasers to make sure it’s level; we use the right nails and the right screws,” Jellema says. What’s more, if you’re doing a deck, try to find someone who specializes in decks. If it’s a patio you’re looking for, look for someone with patio experience, as different approaches are required for each. If you’re adding an outdoor kitchen, you’ll need someone to do the plumbing and gas lines. If you’re adding an entertainment system or lighting, you’ll need an electrician as well. DIY: Jellema says 65 percent of all decks are built by homeowners trying to save money, but he warns that these structures are often done without permits, and that can come back to bite homeowners when they go to sell. “You go to sell your house and have a home inspection, and in the end you’ll have to fix your deck that isn’t up to code before you can sell your home,” he says. 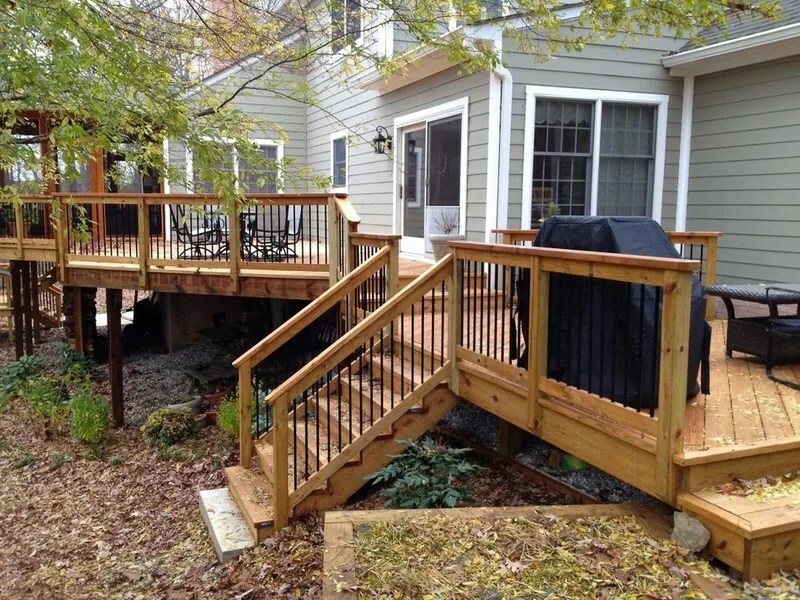 While a deck can certainly be a DIY project if you’re confident enough in your building abilities, keep in mind that a lot goes into a deck to make it look right and stay level. Again, because deck additions can recoup around 80 percent of their cost when you go to sell your home, it’s often worth it to invest in a skilled professional. How long it will it take? An average deck that’s between 300 and 500 square feet will take about one to two weeks to build. If you’re adding a porch, pavilion or gazebo, it will take at least another week. A simple townhouse deck without many corners that’s 100 to 300 square feet could take as little as three to four days. But it all depends on where you live. Some states, like earthquake-heavy California, may require that everything be done by a structural engineer for approval. Some places issue permits in a couple of hours; others can take up to two months. Other factors include whether you’re in a flood zone, whether you’ll need to cut down trees and whether you have a septic tank or well on your property. 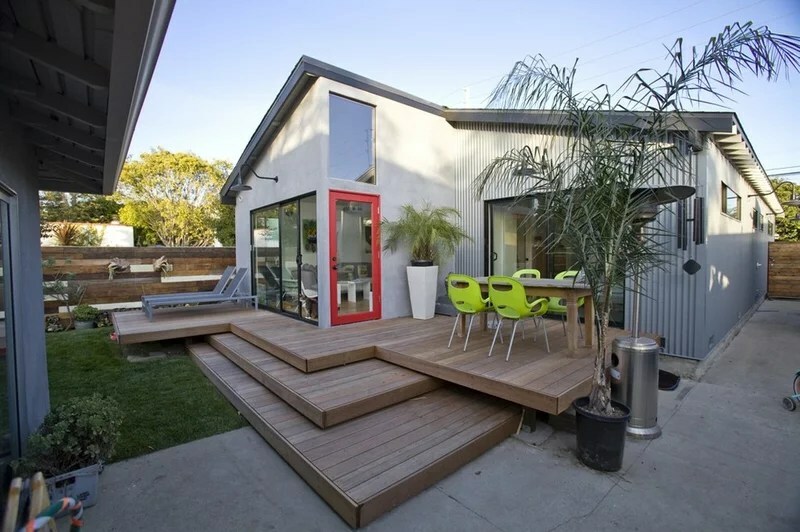 A good deck professional will be able to look at your site plan and determine these factors. Article Written By: Mitchell Parker, Houzz Editorial Staff; writer, musician, father, husband.